Tonight David and I got the chance to talk to Bob O'Malley, the Mayoral candidate from Altamonte Springs, Florida who is challenging the incumbent. Bob is currently with CSX Transportation as the Resident Vice President of State Government and Community Affairs in Florida. He is also the Chairman of the Early Learning Coalition. He was appointed to the coalition in 2005 by Jeb Bush and is now the Chairman. Bob discussed the challenges that Altamonte Springs residents and business owners are facing today. The city has the 5th hardest hit housing market in the COUNTRY according to Bloomberg. Commercial properties have one of the worst occupation rates. Traffic has grown worse over the years and needs to be addressed as well. These are all things he plans to address if elected. Check out Bob at www.omalley4mayor.com. You can find his Facebook and Twitter pages from there also. All you Altamonte Springs folks out there make sure you vote! The mayor has been uncontested for a decade. That as much reason for new blood as any. David and I tossed around a bunch of topics in the shot gun segment, from Occupy Wall Street to Muslims in Catholic University, so check out the archive and listen. If you haven't heard .. you can find us on iTunes here! Or just go to iTunes and search for AC Nation Blog Talk Radio Feed. Download the episode and bring it with you anywhere! Do you know how much the economic troubles currently being experienced in Greece and across Europe will affect the US economy? Tune in to tonights episode of Breaking it Down with DT where Brian and I interviewed Dan Lewis, Chief Executive of London's Economic Policy Centre. Since graduating in 1994 in Modern Languages and History, Dan worked in financial organisations in the City of London and lived and worked in Luxembourg for four years until 2001. After this period Dan got more involved in consulting with policymakers, institutional investors and businesses as well as doing research for the think tanks, the Economic Research Council and the Centre for Policy Studies. Dan described in great detail the risks associated with economic troubles in Europe and expressed concerns that a complete collapse of the Greek economy is a matter of when, not if! To understand how this will affect us listen to the archive of the show here! Dan is also an expert in energy policy so the discussion transitioned to energy policy and just how the US and Great Britain energy policies intertwine . Dan was an knowledgeable and informative guest and shared information that is important to all Americans. In the shotgun segment of the show Brian and I discussed the Alabama immigration law and the Justice Departments new hotling directed at the Alabama government. We also discussed some of the demands of the occupiers of Wall Street and their absurd idea that every American should earn $20 an hour whether they work or now. Who would ever go to work again if we could all earn that much for doing nothing? And the scary part is Obama and Pelosi have come out in support of the socialist agenda! 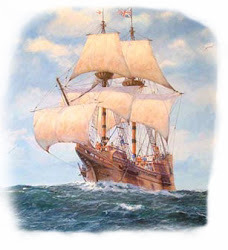 Make sure to check out the archive and hear all this important information by tuning in here or by listening here at mayflowerbrothers.com! David and I had the pleasure of speaking with our special guest, Ken Vaughn, Candidate for the US House of Representatives from Virginia's 11th District. Chuck Williams was also supposed to join us tonight and had to reschedule. Expectant fathers aren't always in control of their time! Good luck Chuck! We talked to Ken about a number of issues he thinks are important. We hit on the economy, regulations on small business, and the fact that he believes we need to limit government spending to 17% of US GDP. He thinks the government needs to get a balanced budget in place. We can't say we disagree! Look for Ken on Facebook and Twitter. Also visit his website at http://www.vaughnforcongress.com/. If you missed it live you MUST check it out here tonight's episode. In the shotgun segment we also called for the Occupy Wall Street folks to stop wasting tax payer's money and go out and take responsibility for their own lives instead of blaming the establishment. It's like a 60's flash back! We also paid a brief tribute to Steve Jobs, thanks for the iPad dude. Our guests will be 10:00 PM EST Special Guest Ken Vaughn will comment on UN consideration of the Palestinian Organization’s Application for Statehood, offer Solutions for Economic Revitalization and Limiting Capital Investment by Government Agencies and prescribe Solutions to Legislative Gridlock Will You Bring to Washington, DC. The Constitutional conservative and Republican candidate for Virginia’s 11th congressional district is seeking the GOP nomination to unseat Congressman Gerry Connolly. And at 10:30 PM EST Special Guest Expectant Father Chuck Williams, Republican candidate running in Utah's 2nd Congressional District. He served as President George W. Bush's Assistant Deputy Under Secretary of Defense for Installations at the Pentagon, he also served in Vietnam and Iraq, and is a retired U.S. Air Force Lieutenant Colonel. He also has extensive experience in energy and public land use issues.